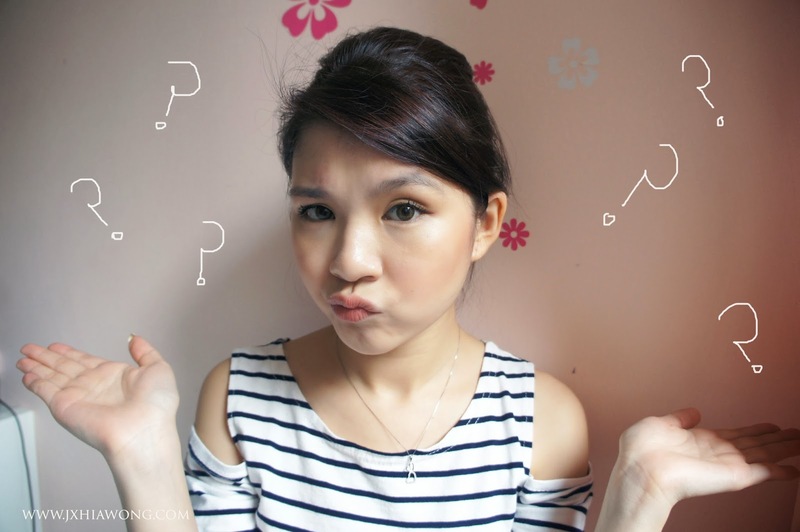 Do you realize something is missing from my make up ? they tend to leave out eye brows, and will start off with eye liner or foundation. 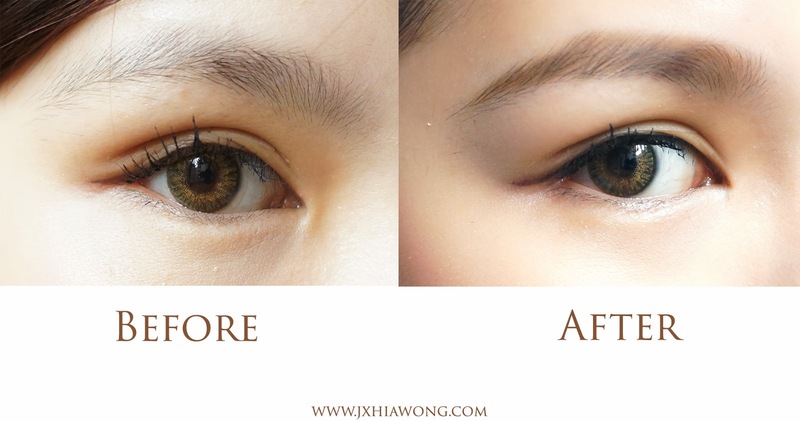 eye brow is the most important step for make up because it gives a good illusion effect for our facial features to seem more stand out, with a 3D effect. I will be showing you how to get 3D looking eye brows today ! The one I have here is in the color #2. Natural brown. 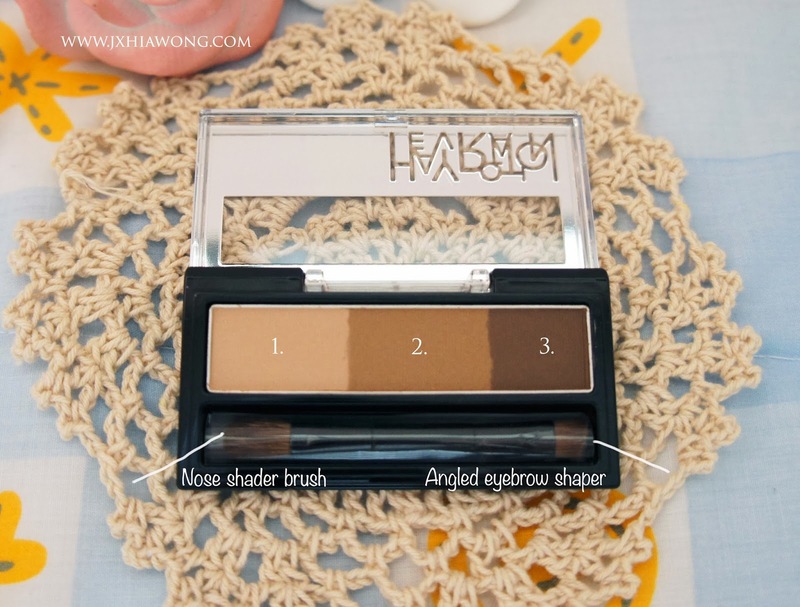 There are 3 neutral colors in the palette, and it also comes with a high quality 2 sided bristles with a fluffy brush for nose shading & an angled brush for eyebrow shaping. 2. 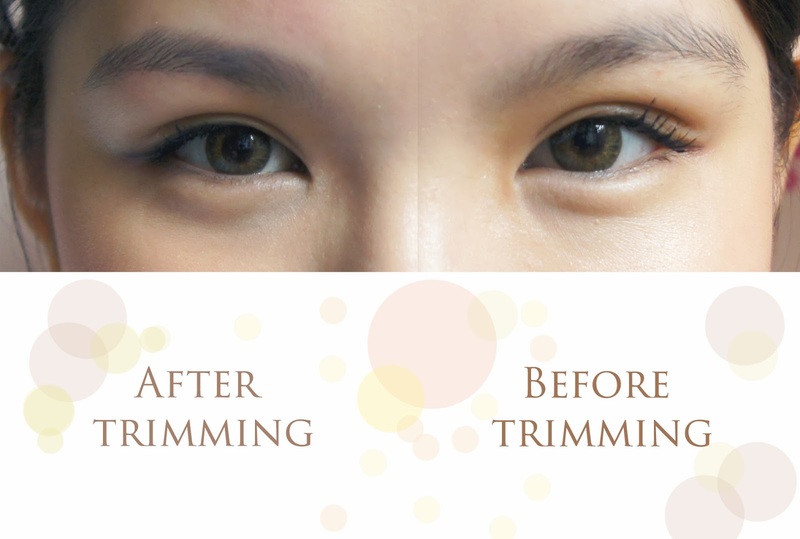 To fill in the sparse area of our natural eye brow shape. 3. To darken the ends of our eye brow. it makes a vast difference. for my heart shaped face, I'm going to trim my eyebrows with a slight arch and not make it thick although thick brows is the trend right now. Step 1: Apply shade 2. using the angled brush to fill in all the sparse area following our very own natural eyebrow shape after trimming. 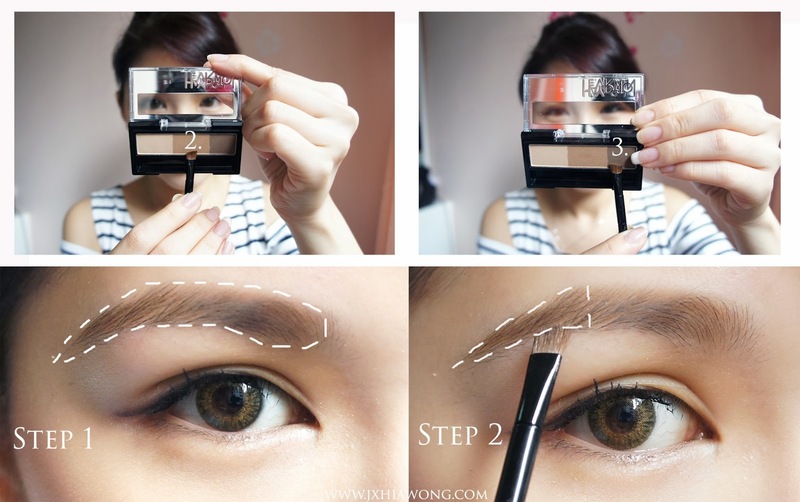 Step 2: using the same angled brush, apply shade 3. to the arch and ends of your eye brow to add a 3D effect to it. See how much difference a pair of eyebrows can make ? Last, but not least, nose shading. Contouring is a crucial step for me, because I'm a typical Asian without a visible nose bridge. 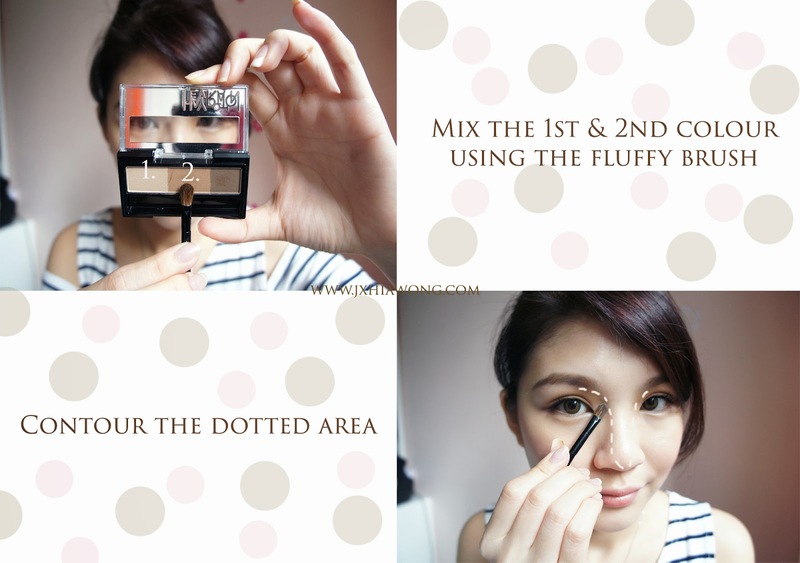 contouring is also my favorite step because the result work every single time ! so I mix shade 1 & 2 together. and here's the end result of a pair of full 3D brows with natural contoured nose shade! 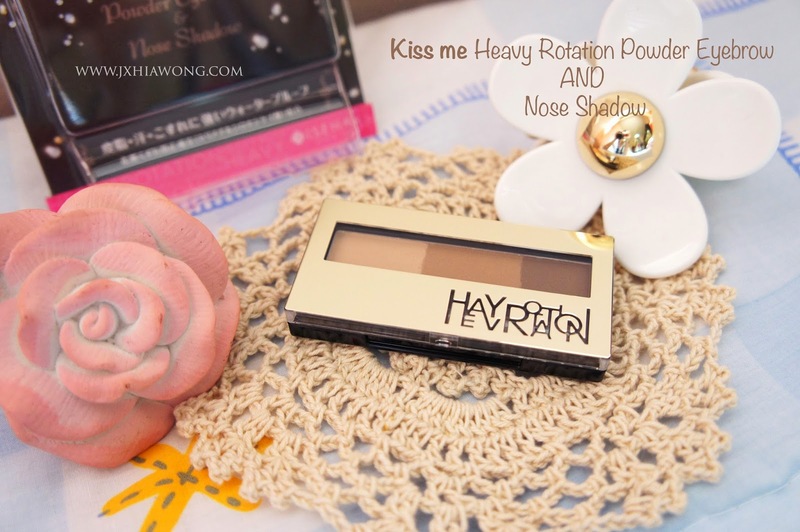 Why choose Kiss Me Heavy Rotation Powder Eyebrow & Nose shadow? -Easy to apply even for beginners ! -Great coloration in one easy sweep! -Gives your nose a greater definition. -Contains eyebrow care ingredients, formulated with Panthenol! 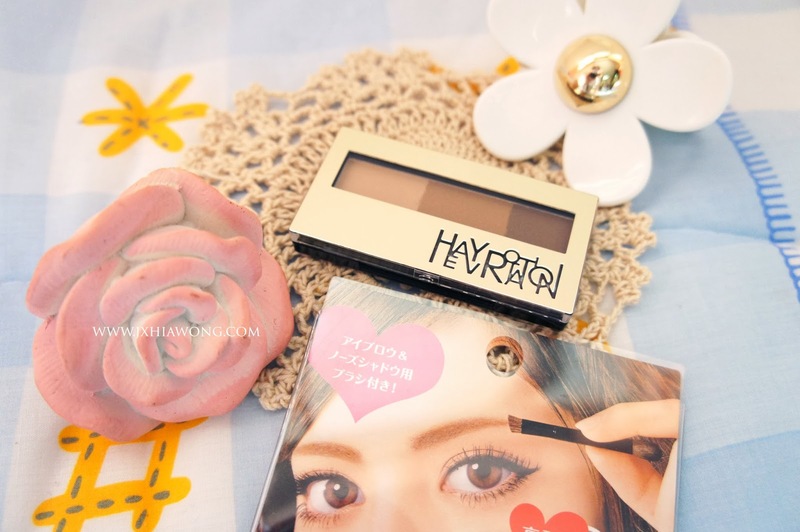 Kiss Me Heavy Rotation Powder is now selling in major Sasa outlet for 44.90MYR! and I will talk to you guys soon ! Thanks:) It helps a lot!! 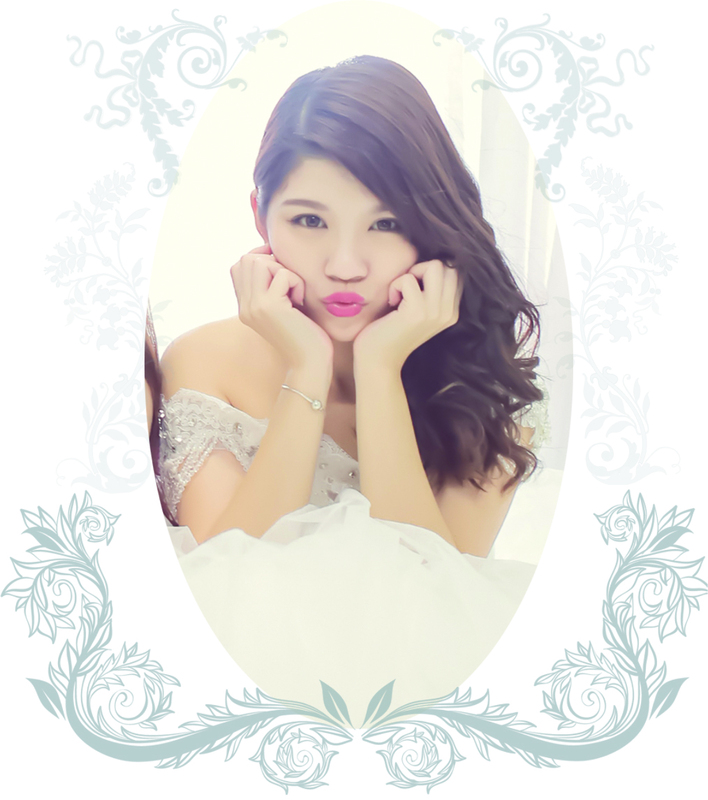 I was considering whether I should buy it this was super useful :) you're really pretty as well!! A story behind "A Bowl of Rice"
Stepped out my comfort zone.